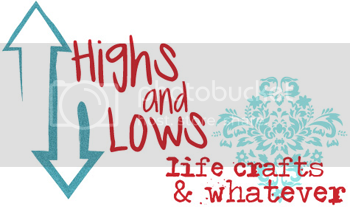 I've been wanting to join Jen's Highs and Lows, but can never seem to gather my thoughts. So Jen, here you have it. Started summer vacation this past week. I'm loving the idea of not working for 2 1/2 months. I did a major cleaning out of closets throughout my house and ended up having a garage sale yesterday. Spent the day with my sisters and friends selling old junk and at night had a girls night out. Great way to end a Saturday. Got some delicious mangos from my husband's grandfather today. His mango tree is his pride and joy. My parents are in New York and my in-laws are in Italy, so Father's day was kind of quiet around here. I'm missing my Abuelo (grandfather) today. I feel like my summer is going to end before I know it. It's giving me anxiety. Thanks, Jen for making me actually take the time to think about my highs this week, I always like to focus on those. Thanks for linking up, doll! I always enjoy H&L, even if it didn't catch on like I hoped it would. I think it's a good way to remember my blessings, instead of focusing on the crap, ya know? Sounds like you week was fun, how'd you do on the garage sale? In our community, we're only permitted to have them twice a year. Which I dig, cause then I'm not worried about a bunch of strangers and traffic on my normally quiet street. Oooh, I've always wanted to have a garage sale. Our old house didn't have a garage and to be honest...I'm pretty lazy. I just haul my stuff to Goodwill and ditch it there. Plus, I'd just end up giving everyone my stuff for free because I can't haggle. I'm sorry your father's day was kinda blah...did you Skype? Cleaning + garage sale is awesom. So great to get rid of crap and end up with some extra cash! Not having to work for 2 1/2 months sounds amazing! I'm so jealous!